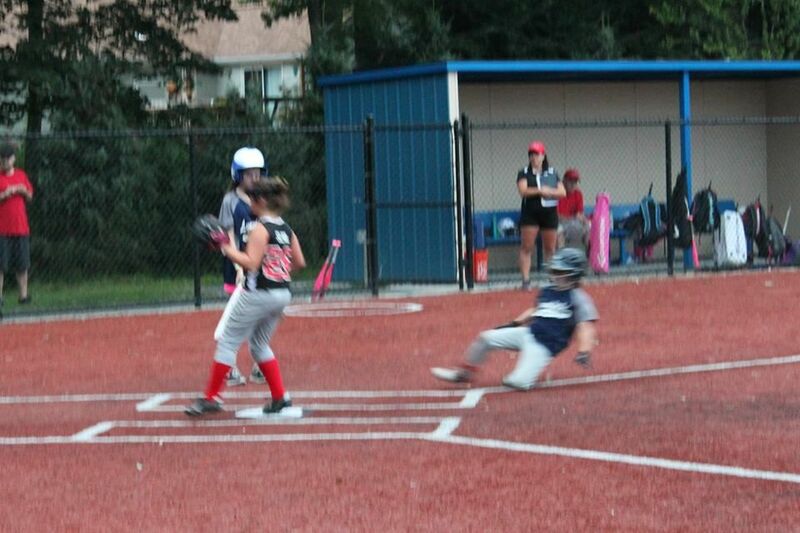 The Lynnfield Youth Softball League's dual mission is to provide a fun, instructional and safe outlet for girls to learn and enjoy the awesome sport of softball, and to provide a healthy feeder program that will help create and maintain a consistently strong high school softball program. The schedule for the first week of the Lynnfield Youth Softball Spring 2019 season is up. We will again be playing in the Essex County Women's Softball League (ECWSL). Games in all three divisions -- Senior (7th-8th), Junior (5th-6th) and Farm (2nd-4th) -- are played against neighboring towns in the ECWSL Southern Division. In addition to games against other town teams, Lynnfield squads will face off against teams from Topsfield, Hamilton-Wenham, Georgetown, Boxford, Manchester-Essex, Ipswich and Middleton. Lynnfield once again has the most teams entered in the 12-team Senior South Division with three. Topsfield, Boxford and Ipswich have two each, while Manchester-Essex, Middleton and Hamilton-Wenham fill out the division. In the Junior Division, Lynnfield's three teams will compete in a 13-team group. Middleton matches Lynnfield with three teams, Georgetown has two, and Boxford, H-W, Ipswich, M-E and Topsfield have one team each. Lynnfield has a record four Farm teams this season. In addition to splitting the schedule for the two Farm teams the town entered in the ECWSL, the squads of 2nd-4th graders will play three games each against the other Lynnfield teams. There are 16 teams in the Farm South Division, which does not keep official scores or standings, and does not have season-ending playoffs. You can find the schedule on the Lynnfield Youth Softball site under the Master Schedule tab, as well as individual team tabs. The full schedule will be posted by Tuesday, April 23. The ECWSL website is eteamz.com/ecwsl. Good luck to the 10 Lynnfield teams opening their season this coming week. Season Openers pushed to April 23 -- Monday games rained out! The Lynnfield Youth Softball League (LYSBL) season was set to begin on Monday, April 22, with five of the town's ten teams in action. but all games were postponed. The action picks back up on Tuesday night with the Lions (at Boxford), Lightning (at LHS), Panthers and Knockouts (vs. each other at LMS) kicking off their seasons. Lynnfield residents have invested substantial amounts of money and time to upgrade the town's fields to be among the best in the area. In particular, the high school complex is an impressive facility that creates a better playing experience for Lynnfield residents and for the out-of-town teams they play. To help preserve the quality of our fields, please follow the Town Recreation Committee's Field Guidelines.